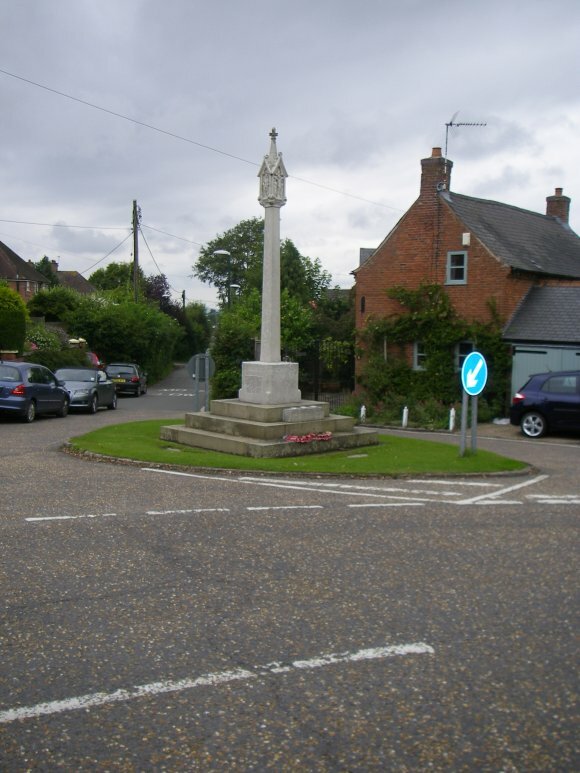 At a bend in Main Steet is a small circular green on which stands a 4m high memorial of the First World War erected in 1921. It is constructed of stone and comprises a square pedestal on stepped plinth from which rises a square tapering shaft. On top of this is a miniature gabled shrine with spirelet. Within the 4 niches are statues of saints. Names and inscriptions are on the pedestal. At its base are two millstones from the demolished windmill in Ingarsby Lane. The War Memorial is grade 2 listed.